"We need to support full funding of UNRWA and other vital efforts to protect families, keep communities stable and prepare young people for productive lives," Abdullah aid. 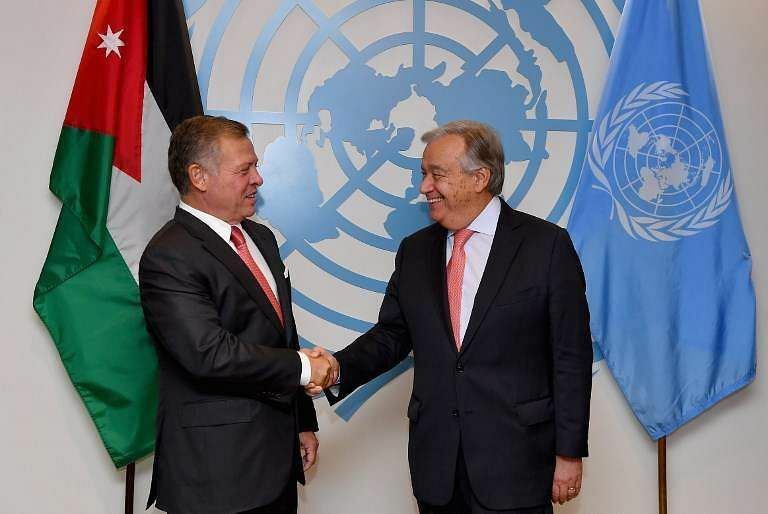 UNITED NATIONS: Jordan's King Abdullah II on Tuesday pleaded for urgent aid for Palestinian refugees to curb the appeal of radicalism after the United States ended all support. 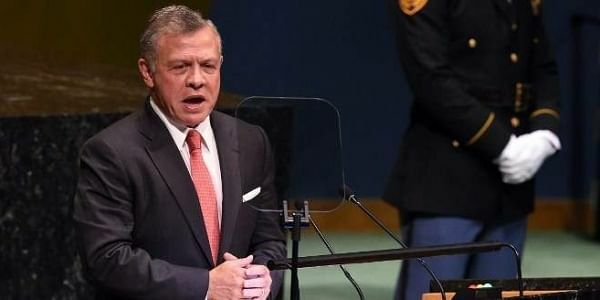 Addressing the UN General Assembly, the Jordanian leader sought a revival of the Middle East peace process and voiced worries about the financial collapse of UNRWA, the UN agency for Palestinian refugees. "It would be a terrible mistake to abandon youth to the forces of radicalism and despair. Such support is urgently needed to ensure UNRWA fulfills its role in accord with its UN mandate," he said. President Donald Trump, a staunch supporter of Israel, has ended all $350 million provided by the United States each year to UNRWA. With the United States traditionally the largest funder of the agency, the move has created a funding crisis, especially in the impoverished Gaza Strip where more than 200,000 Palestinians attend UN-run schools. Jordan -- which is home to nearly 2.2 million Palestinian refugees, who make up almost half of the kingdom's population -- will convene a meeting during the week of UN diplomacy in hopes of securing funding for UNRWA. Abdullah, whose kingdom is one of only two Arab states with full diplomatic relations with Israel, rejected the idea of a so-called one-state solution in which Palestinians would be absorbed in the Jewish state. Abdullah said the proposal had an "ugly, undemocratic reality." "There is no such thing as a unilateral agreement; it takes at least two parties to make an agreement," he said. "Helping the parties achieve that agreement, and work together to build a new future, deserves the strong, steady support of all our world."